Indonesia, Vietnam, Nepal, Oman, Switzerland, Austria, England, Mexico . . .
Los Angeles, Palm Springs, San Francisco, Lake Tahoe, Portland, Eugene, Seattle, the Olympic Peninsula, Missoula Montana, Colorado Springs, Minneapolis-St. Paul, Rochester Minnesota, Rochester New York, Phoenix, Dallas, Austin, Louisville, Detroit, Key West, Tampa Bay, Daytona, Washington, Philadelphia, Harrisburg, New Jersey, New York City, Woodstock, Saugerties, Boston, Northampton. . .
Victoria, Nanaimo, Vancouver, Bowen Island, Calgary, Edmonton, Saskatoon, Brandon, Winnipeg, Lake of The Woods, Windsor, London, Orillia, Collingwood, Burlington, Oakville, Mississauga, Toronto, Markham, Perth, Ottawa and Montreal. That’s – 60 – different cities, and counting! There was no one closer to Enid than your superb self — in sparkling qualities, huge belief in life itself, generosity of spirit, imaginative wit, and quick intelligence. What a Mom — but also — what a devoted and proud son. She LOVED you more than you will EVER know and she is watching over you, calling the moves, and smiling the smile of the universe. I’m sorry I won’t be there for the memorial, the wake, the party and the anythings else that happen. On the Autumnal/Enid Equinox I will be in Salt Lake City (my film opens the Gandhi International Film Festival in the heart of Mormon country!) but will be sending the good vibes to you and Enid. We need more Enids in the world. What a character, trailblazer, intrepid warrior of all things good and, yes, unique — just like you. So if you ever feel out-of-it/not-quite-here/but over in-the-undefinable there, you’re on track for sure. Keep your courage and faith, wonderful Brian! Words cannot express my appreciation for you sharing the biography of your wonderful, feisty, LIVE LIFE AND LOVE mother. I wish we had had more time to spend together when she was in Texas, but alas, some distinguished Canadian banker traveled down here and swooped her off her feet. I mentioned to her one time that it was strange to have come down here so she could meet her future Canadian husband. While I cannot be there physically, I intend to be at her Memorial in spirit at least. I can imagine the many tales that will be told about their friend, Enid. And yes, it could very well last into the wee hours. At least that is how Enid would have wanted it. She was a great lady, Enid was. I have so many memories from way back in 1978-80…. “Sue, do you know what a bag lady is?” — that was from Christmas 1980. And of course I had no idea! And that massive car. Do you still have it? I know that we generally drove your dad’s car but I think hers was even bigger. She never settled for less, and always wanted the best for you! The first time I met you was the first time I met your mother! Do you remember this? At the Nuyorican show. I thought it was so cool that you brought your mum places — like Jack [Kerouac] did. She was a great person — I also remember hanging out with her at your apartment on 70th street. Know that I’m thinking good thoughts for you and you mom. Required listening, of course … John Lennon. Funny thing — my mom read me your mother’s Obituary earlier today and I KNEW as soon as she read it that You wrote it! It was the most beautiful, heartfelt and loving tribute to your Mother, or anyone, my dear, sweet friend. Know that You and your mother are in our hearts today and always. I knew your mom and really dug her. I hung with her one evening when I came by your apartment and you weren’t home. I saw her watching her son on stage in New York City with love, pride and admiration. I know what a creative and inspirational force she was in your life. Where does all that larger than life energy go? Somewhere for sure! We have such fond memories of Enid. What an amazing woman she was …. so many accomplishments in many areas. I sure remember the cottage in Gimli. She was such a supportive neighbor when we were just starting our family. 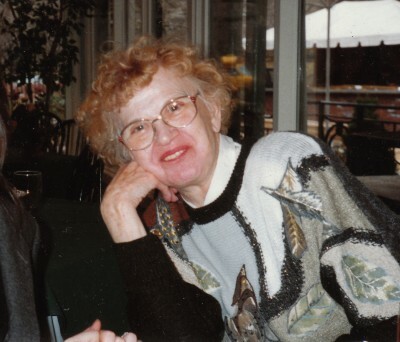 I love to hear about your relationship as mother and son….you had so many great adventures together. You were kindred spirits like none other. You will miss her terribly I know. Just think of all the people she encouraged and those who had amazing times with her. She left a huge gift to you and everyone she met. That’s an incredible piece…. A Song of Enid. I love your writing style – you are such a free, liberated spirit, which is rare in the normal Winnipeg business world…..or anybody’s world for that matter. You have a myriad of great friends who feel like family no doubt, but Enid especially, was a very big part of you. In fact, she lives on in you. You bring that same adventurous and creative spirit to the world. I absolutely love your realness. Much love and thanks for sharing Enid with us. Or there’s a ton of stuff going on on my wall on Facebook. Or here’s — A Song of Enid I Sing. Or here’s some deets on the massive farewell party we had for her. Or here’s an account of one of our many adventures together — The Maltese Fall. Or here’s my tribute to her husband and my dad — Vern Victor Hassett — Be Still Here. This is so nice, Brian, the love and energy of your Mom will live on eternally. What an incredible woman she was and still is. May she rest in peace and happiness. So sorry to hear about your mom Brian. I never had the pleasure of meeting her but from what everyone has said about her, she must have been an amazing woman. My condolences, Brian. 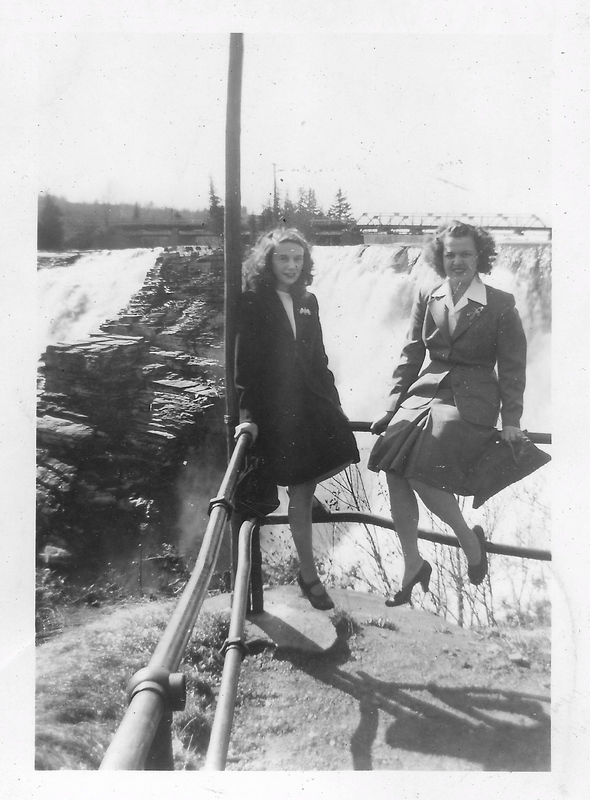 I really enjoyed spending time with your Mom when we went to Sandy Lake. She was lucky to have you, Brian. Partied with you two some years back and remember admiring her and thinking how she and my mom would’ve hit it right off. Peace and blessings on you both. If we could all have our funerals while we were still alive — and hear all the wonderful things people have to say about how we positively affected their lives — then no one would ever be depressed. At every Memorial there is this massive outpouring of compliments and love — and the only person who doesn’t get to hear them is the person who should hear it the most. Sometimes we get things back-asswards. I agree. On the other hand the love you shared with your mother, and the way that you took care of her is more powerful than words. She experienced that love. The outpouring of love and feelings that you will see and hear, is to help you with the healing process. yeah, right! except … people tell you incredible stories about your loved one gone — and all it does is make ya cry!! “Yeah, thanks a lot, pal.” You want to hear these stories, but they’re so beautiful and she’s so gone . . . it just ignites a yin-yang explosion of joy and loss. Like, “Shut up! I’m losin’ it over here.” “Quit makin’ me cry More, would ya?” I’m totally joking — but it’s a funny cause and effect. And, Thanks Al. And then again…maybe she will be there and hear and feel everything. I sometimes feel my Mom around still. Hi — I was with my mom when I heard. You can always come visit if you need a hug. Take care of yourself. WOW getting love from all over the world … galactic! I’m glad to be on your life vessel captain! FULL SPEEED AHEAD ! Oh wow — this is beautiful. She was a lucky lady! And will always be with you, etched into the recesses of every corner of your cerebral cortex, bringing you comfort and joy in the wonders of your friendship together. I hope you write about the experience of your friendship with Enid, that is a very special relationship. I’m sorry to hear about your mother – and this tribute to her memory is wonderful; hope that come the day someone might make as joyous a tribute to me too. It was like an extensive museum exhibit, except the stuff wasn’t under glass and you could pick it up and look at it. And it was like a library the way people had their heads buried in historical books and photo collections — and were finding things that I didn’t even know about! And it was like a great party with a lot of laughter, electric energy, and new friendships being made. There were no formal speeches — it just never felt right. Everyone was so into the show and the moment — That was the Memorial. Enid was there like a kaleidoscope in every direction — about 20 of her paintings, paintings of her, framed photos covering nearly 90 years, scrapbooks from her childhood, her report card from nursing school, her notebooks from writing classes, her trip diaries, copies of her stories to take with you, a huge spread of all her favorite chocolates and cakes, Edward Sellers playing acoustic guitar in the background, home movies of her hiking under the redwoods in the Cascades …. her whole life on display in a giant cathedral-like space filled with all these different people who knew her, over all these different decades, in all these different ways, sharing stories with each other. And she was there smiling, laughing, and telling stories all night long. 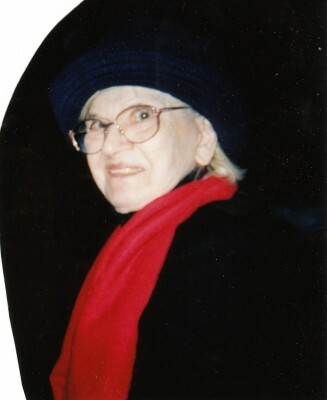 Enid E. Hassett — 1920–2011 R.I.P. What a cool, cool way to pay it forward. Enid’s smiling. I know it. I’m so glad it was lovely and organic!!! Perfect!! You’re so right! And thanks! Not only would she approve — but groove. And she was there! The legerdemain worked. She was alive and laughin for one more night. This is so great to hear, Brian. Way to go…the good son…sounds like I missed a huge one. My ma sent me the obit from the Wpg. Free Press … great photograph … kudos all around! Sounds fabulous but I knew it would be & I’m even more disappointed now that I missed out. In the meantime I’m going on my own little nostalgia trip over here. Just found the book “Textures from the Oakville Inkwell” that both you and your Mom are in and signed to us but no where is there a date to tell me when it was published or when you gave it to us. Also – watch your email for an attachment – I took pictures of the painting your Mom gave us before they moved to White Rock. Thanks for sharing your stories, friends, and a wonderful archive of memorabilia, what a treasure chest! Enid was there in the room filling it for us to breath in! It was a really powerful and wonderful time. Glad we could be there. Take it easy and breath in the changing air, the deep earthy smells of the fall, and bring wellness into your bones! It really sounds like a wonderful memorial – Good for you!!! I wish it hadn’t been so far away but I was thinking about you. It was a delight to visit with you and remember your beautiful Mother. The wonderful things you say are true. I was her friend and she was magnanimous in every way. You are in my prayers. We’ll keep in touch. June. Your regard for Enid as far as I can tell is a poet’s regard, and that she had a remarkable & long life is a poet’s blessing on her and on you. I was sorry to hear about your mother — she sounds like quite the woman — but that doesn’t surprise me given her son. Even though you said no flowers I made a donation to MSF in her memory & have had them send you a card to your address. I wish I could have been at the Memorial — it sounded great. Well done!! So Cool, I really wish I had been there, your Mom sounds fantastic, I wish I had known her better! You and your mom are/were something else. My extreme pleasure to call you a friend. You were lucky to have had her for so many years. Thanks for sharing these inspirational condolences. I’m happy I’m your friend, beatbro.